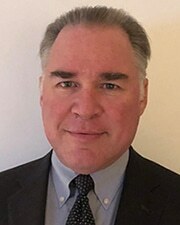 New York, NY Legal 1031 Exchange Services, Inc. has welcomed David Feeser, Esq., as its new exchange director. Feeser joined in March 2018 and has been utilizing his knowledge, experience and skills to benefit the company’s clients. Feeser is a member of the New York and Colorado Bar Associations. He has been an attorney for over 20 years and has many years of experience with 1031 exchanges. Previously, he worked for a major national qualified intermediary. He has taught numerous classes on IRC §1031 tax deferred exchanges for attorneys, CPAs, realtors, title companies and real estate investment associations. Feeser has practiced real estate law in both Colorado and New York. In addition to practicing law, he has owned his own business and worked in the cable television industry. Feeser also has extensive experience in real estate investment and management. He received his Bachelor of Arts degree from Lehigh University and his J. D. degree from Thomas Cooley Law School. If you are interested in learning more information or you would like to start an exchange, please contact us by phone at (877) 701-1031 x 508 or by email at info@legal1031.com.